In an earlier post I highlighted that Australia is set to embrace a more active role in space. This shift away from a primarily earth-bound focus on space opens up some interesting possibilities. Certainly, we’ve come a long way from the early days of the European Launcher Development Organisation launching Blue Streak and Europa rockets out of Woomera in the 1960s. Equally certain is that a bright future beckons for Australia on the high frontier. But there are some challenging risks too. Firstly, the space domain is no longer a sanctuary free from warfare. Space has been ‘militarised’ since the 1960s in the sense that satellites support terrestrial operations. And though the ‘weaponisation of space’ has its earliest roots in the Cold War, its pace has gathered momentum. The US intelligence community and US Air Force are now warning of growing counter-space threats from peers and regional adversaries. Space in the 21st century is a ‘contested’ operational domain. 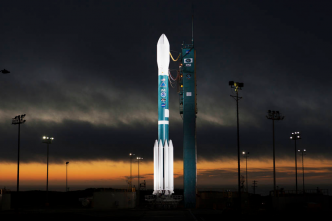 Adversaries are developing ‘hard kill’ anti-satellite weapons and ‘soft kill’ systems that range from GPS jamming to electronic warfare to cyberattacks against satellites. The dependency of terrestrial military forces on space support is growing to the point that its loss—a ‘day without space’—would have a devastating effect on the ability of joint forces to fight and win in information-led warfare. The US is beginning to take urgent steps to address this growing challenge. Australia will need to do the same. The contested space domain also presents legal challenges. The 1968 Outer Space Treaty remains the key document regulating space activities and preventing the deployment of weapons of mass destruction in orbit. But it’s very dated and no longer suited to the nature of modern counter-space capabilities. It also does little to prevent commercial entities operating on behalf of states from claiming resources in space, or from controlling the territory where the resources are located. 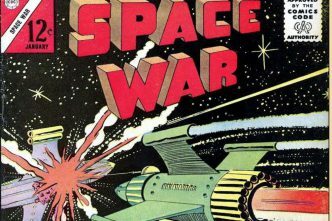 Competition over space resources, even between private actors operating in states’ interests, opens up all sorts of intriguing questions, as well as the possibility that competition could become conflict. The contested nature of space is complicated because it’s also ‘congested’, with a growing risk posed by ever-accumulating space debris, which ranges from spent rocket stages down to metal fragments that can easily threaten satellites and spacecraft. Australia already performs a space situational awareness mission in support of the US, a task that will only become more important in the future. Finally, space is ‘competitive’. Cheaper Space 2.0 technologies and the rise of commercial space actors are democratising space by lowering the entry cost of launching a payload into orbit, allowing a greater number of states and non-state actors to acquire space capabilities. 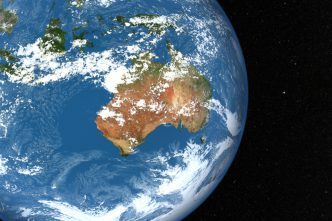 For Australia, the lower cost of Space 2.0 makes it possible to undertake meaningful roles in orbit for the first time since the dawn of the space age. Certainly the ability of the ADF to contribute to operations in orbit—either by providing niche space systems to fill operational gaps, or to rapidly expand space support and ‘bandwidth’ prior to a conflict—offers a useful way for Australia to support our major allies, and to show regional space leadership. Most importantly, an Australian space program would strengthen deterrence in orbit. Improving the ability to rapidly reconstitute space capability after a counter-space attack increases space resilience and, by extension, the deterrence value of space assets. In this regard, emphasising the development of disaggregated constellations of small satellites and Cubesats is the best path forward for Australia. The low cost of CubeSat technology offers the ability to rapidly update orbital infrastructure and install innovative new capabilities. By contrast, large satellites tend to be expensive, complex and hard to update. To put it another way, Cubesats are the iPhone to the large satellite mainframe. Two key developments—the rapid growth of an Australian space industry and the establishment of an Australian space agency—will have a big impact on our ability to undertake such roles. First, the government is finalising a review of the Australian space industry, which will be released later this month. The report will show that the Australian space industry is growing rapidly—not through aerospace giants but through innovative, small space start-ups. These small companies are well placed both to support Defence requirements in space and to boost Australia’s commercial space presence. It will be commercial enterprises that will eventually offer Australian space launch facilities, most likely from the Northern Territory. The prospective launch site will form the final link in the chain for an Australian sovereign space capability. Secondly, an Australian space agency will tie all of this together. 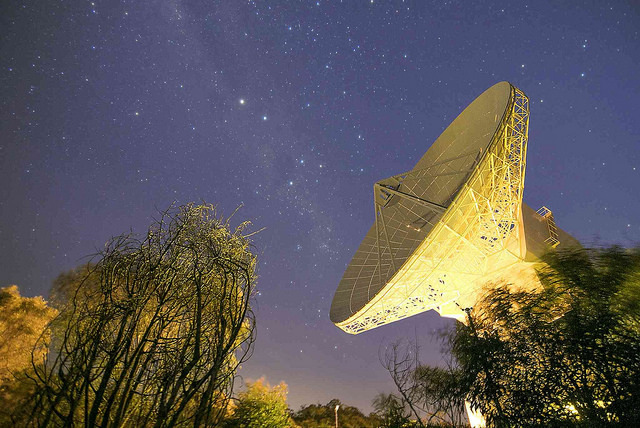 Ideally the agency will coordinate and support the rapid growth of Australian space activities, including by expanding Australia’s role internationally in space science and astronomy. In coming weeks, The Strategist will publish a series of articles—‘Australia in Space’—leading up to ASPI’s major conference in June: Building Australia’s Strategy for Space. The series will cover the issues noted above, as well as others relevant to Australia’s future in space. 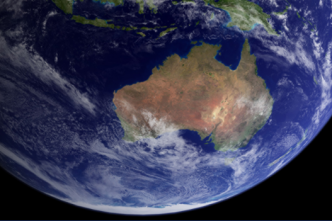 Australia is moving into a bigger role in space at an exciting time, one full of rapid change and transformational developments. There are opportunities to be had if we are bold and quick enough to grasp them. But with any period of rapid change comes also an increasing risk of disruption, instability and, potentially, conflict. Malcolm Davis is a senior analyst at ASPI. Image courtesy of European Space Agency via Flickr.